Specific to your project MDR Certification provides clients with the ability to have their inspection and testing schedule compliant with the relevant code. Plant that may need several types of inspection may need heat treatment, hydrostatic testing, X-ray and metallurgical examination to be compliant to the respective code. Having experienced personnel able to perform these roles can be a contributing factor when planning a successful project. 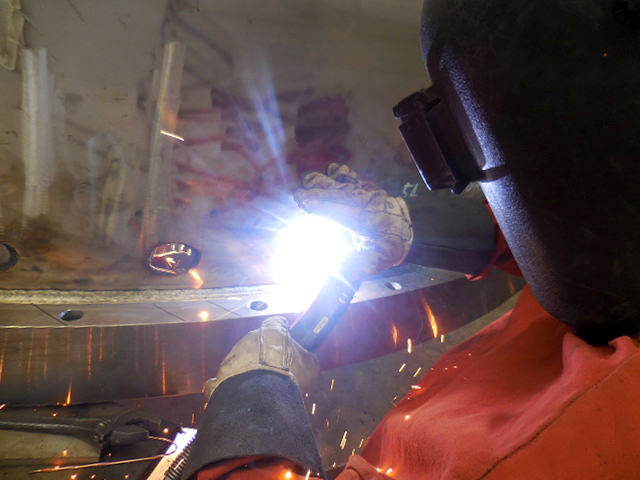 The process of qualifying the welder is to ensure that the welder and the welding procedure are compatible. This process inspects the welder under test conditions to weld an item using a specified welding position, with specified consumables and materials, travel speed and amps and volts. The audit of the welder to pass the test may include x-ray; visual or mechanical testing and will prove the capability of the welder to perform in the field in accordance with the required specifications. With an internationally qualified welding inspection team experienced with DNV, API, Australian Standards and ASME, and mdr compilations, MDR Certification Engineers could assist your projects quality requirements to remain consistent with KPI’s quality progress milestones. Welding inspection is carried out to ensure the fabrication process has been conducted in accordance to the specification. This may include checking the welder has been qualified, the welding procedure and parameters are correct for the material being welded, the welding consumable has been prepared correctly, and a range of other checks that need to be carried out to ensure quality control in the process. Welding inspection also requires the traceability and documentation to be completed.